The Jewish Federation Connecting with Community presents "A Day in the Life...," a three part series being held on Monday, December 31, Thursday, January 24 and Monday, February 25. All of us have stories from our lives. 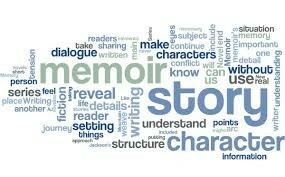 A story from the pages of our lives can be drawn from our childhoods or from our lives as adults. These stories are chapters that we carry with us. "A Day in the Life" presents an opportunity for us to access these stories. The first session will be discussions based on recollecting and rekindling those stories. In the second session, our oral stories will turn into simple writings. We will keep it to a short format, making it easy to approach and accomplish. The third and final session will be an opportunity to share. People may listen to the stories of others and/or share their own, no pressure. These sessions are intended as a way to access our own lives as well as hear from others. This is a one story, one entry approach and is accessible for anyone interested in participating. The program is curated and presented by Nancy Maurice Rogers, program director at the Jewish Federation of the Berkshires.